The Mossberg Varmint Predator (MVP) series of bolt-action rifles was first introduced in 2011. Since then, the line has grown significantly, and now includes a wide range of models designed with the long-range shooter and varmint/predator hunter in mind. In this post, we will go over some of the series’ models, and see what the differences are between the different designs. Mossberg has been around for 100 years, and they are the oldest family-owned firearms manufacturer in the United States. Known far and wide for its pump-action shotguns, the Mossberg company continues to hold its own as one of the most prolific and innovative firearms manufacturers in the world. It carries a host of rifles and shotguns, produced for civilian, military, and law-enforcement purposes. Let’s take a look at several of the MVP models from Mossberg. The light chassis (LC) model incorporates an LSS chassis aluminum stock, made by Modular Driven Technologies (MDT), a Magpul grip, and an adjustable stock built to military specs. Comes with a large bolt handle, adjustable trigger system, and Picatinny rail for any and all accessories. Keep in mind that adding too many accessories will negate the basic idea of having a light chassis, but it is all subjective and specific to your needs. The MVP-LC comes chambered in 5.56mm NATO (16.25” barrel), 7.62mm NATO (18.5” barrel), and 6.5 Creedmoor (20” barrel). 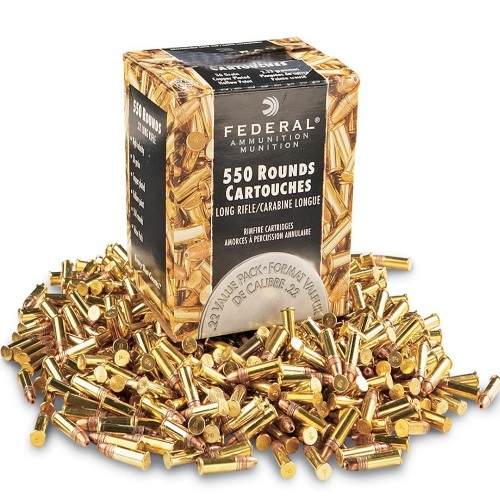 The standard capacity for the rifle is 11 rounds, but 30-round magazines will work just fine. The length of the weapon varies accordingly, and it comes with an MSRP of $1,050. This is a carbine which accepts AR-15 (5.56mm NATO) and AR-10/M14/M1A (7.62mm NATO) magazine styles. The standard versions come with 16.25” barrel, and most are threaded with an A2 flash suppressor. They come with an adjustable trigger, Picatinny rail on top, and a pillar-bedded stock guaranteed to increase accuracy. The ‘Thunder Ranch’ variants use an 18.5” barrel, and there are also ‘Scoped Combo’ models, which come pre-equipped with a Vortex Crossfire II scope and no sights. The MVP-Patrol is chambered in 5.56mm NATO and 7.62mm NATO. Again, the capacity is 11, but any 30-round AR-style magazine will work. The MSRP on these is around $733-866. The Predator models feature laminated stocks with ergonomic sporter designs, the option of including a 3-9x40mm scope, and either 20” sporter barrel or medium 18.5” barrel. There is also the option of a threaded barrel. Like others in the series, it also accepts and feeds from AR-15 (5.56mm NATO) and AR-10/M14/M1A (7.62mm NATO) magazines. It, too, has an adjustable trigger, and a pillar-bedded stock. The Predator comes chambered in 5.56mm NATO (18.5” barrel), 7.62mm NATO (18.5” barrel), and 6.5 Creedmoor (20” barrel). There are two scoped variants, which come equipped with a Vortex Crossfire II scope, and no sights. The MSRP on these rifles is $733-873. Mossberg introduced its FLEX system back in 2012, and it allowed shooters to interchange FLEX stocks, forends, and recoil pads, in order for their rifle to adapt to any number of fits, styles, and applications. It features a tool-less locking system, and true to its name, it also offered cross-platform flexibility. The MVP-Flex combines the FLEX system with the MVP platform, plus it incorporates an adjustable trigger, Picatinny top rail, and pillar-bedded stock. It accepts and feeds from AR-15 (5.56mm NATO) and AR-10/M14/M1A (7.62mm NATO) magazines. There is the option of a scoped model, which is sightless an is equipped with a Vortex Crossfire II scope. The barrel length on all Flex models is 18.5”, and the standard capacity is 11, with the option of any AR-style magazine. MSRP is $764-898. Earlier this year (January 2018), Mossberg introduced its newest addition to the MVP line of rifles: the MVP Precision rifle. A duo of AR-compatible, long-range tactical rifles, chambered in 7.62mm NATO and 6.5 Creedmoor, with a barrel length of either 20” (7.62mm) or 24” (6.5mm). These feature a light aluminum chassis, slimmed-down handguard, adjustable trigger system, large bolt handle, large trigger guard, Luth-AR MBA-3 adjustable stock, Picatinny rail, and a Magpul grip. They accept M1A/M14/AR-10/SR25 style magazines and come with a 10-round Magpul PMAG magazine. The metal is anodized and matte blued. The MVP is one of the most practical rifles on the market today. Could you find cheaper options? Undoubtedly, yes. However, you will be missing out on Mossberg’s quality build, high-end specifications, and unique configurations. The MVP series is versatile and highly adaptive, ergonomic, relatively lightweight, chambered in popular AR calibers, as accurate as they come, and is convenient to use. Also, it is fairly priced for what you get. The design is solid and reliable, and the fact that Mossberg keeps adding new rifles to this line certainly speaks of its overall popularity with the shooting community. Whether you are picking off varmints, making clay explode, or putting holes in paper targets – this is definitely a rifle worth hunting with or otherwise adding to your home-defense collection of weapons. For 100 years now, Mossberg has been delivering lots of quality items to the firearms industry. They have had some hits and misses over the years, like any other arms manufacturer, but the MVP is a series which is seriously blowing the competition out of the water. It may not be for everyone – after all, a rifle is a highly subjective thing, whether it is for hunting or tactical use – but if you get a chance to squeeze off a few rounds with a Mossberg MVP, don’t pass up that opportunity. They are a pleasure to shoot, they are highly customizable, and they are a very decent piece of weaponry. Mossberg 464 Rifle Review: Loving That Lever-Action? Note that the Flex’s collapsible stock does wiggle more than a quality M4’s collapsible stock. Mossberg does offer several fixed stocks with LOP’s from 12.5” (?) to 14”. While the Flex stock makes for a compact storage solution (behind a truck seat or in your safe) the fixed stocks are better from the bench rest. The TSS system does make for a solid connection between the stock and receiver.